This is the third watch to be released in their Metro Series. We love the simplicity of the design and continue to feel that the Nomos Metro case is one of the most comfortable we've worn. The new larger 38.5 mm case size makes this perhaps the perfect sized Metro and is appropriate for almost all wrist sizes. This watch shares the overall design elements that have made the Nomos Metro series among the most difficult to stock in the entire Nomos Glashutte collection. 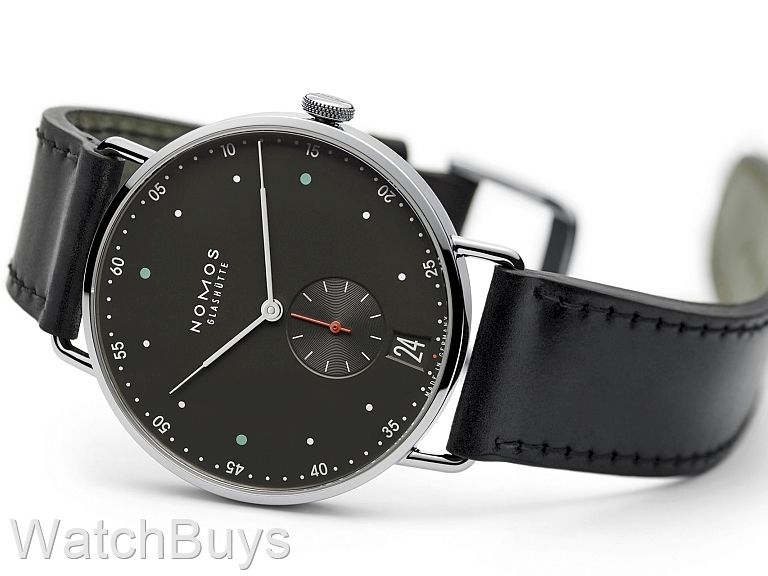 The galvanized ruthenium dial with the Nomos big date create both a modern and clean aesthetic, while the mint green hour indices at three, nine, and twelve contrast well with the red seconds hand. This watch features the Nomos DUW 4101 calibre using their latest Swing System escapement design. 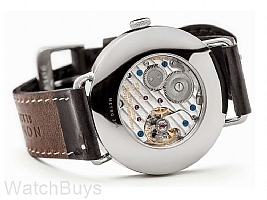 The case is in stainless steel and is fitted with a slightly domed sapphire crystal. The movement is meticulously decorated and finished in true Nomos fashion and is visible through a sapphire crystal display back. This watch is water resistant to 30 meters and is fitted with a Nomos shell cordovan strap.